I love Kingsolver's work and I'm kicking myself for not reading this book yet. I need to make the time for it. I haven't read this author but she sounds so good. Have a great week! I read this book earlier this year and loved it. I enjoy Kingsolver's writing and that she will take on controversial issues like climate change and the environment. You might like Animal, Vegetable, Miracle where she takes on the American food industry. Read all of them Suko ! I like a lot Barbara Kingslover's books and'll buy this one when it'll we translated in French. I'm happy to know she wrote a new novel. I have heard really good things about this book. It sounds like it is thought provoking in several different ways. Suffused with humanity, humour, and grace? Now, this sounds like my kind of read. Thanks for your review. This sounds like a very interesting book. These butterfllies are beautiful - and I love to watch a graceful butterfly pass me by. Sounds like a faschinating book - a very informative review - thanks. I'm hosting a blogging event you might like to join. Paris in July is now an annual event, bloggers around the world join us for a virtual journey to Paris and France. 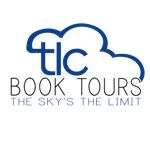 Pop in to my blog to see what's planned. Tamara, thank you for stopping by, and for your invitation. I'll take a look at Paris in July. At the end of this month, I'll be reviewing The Summer of France. 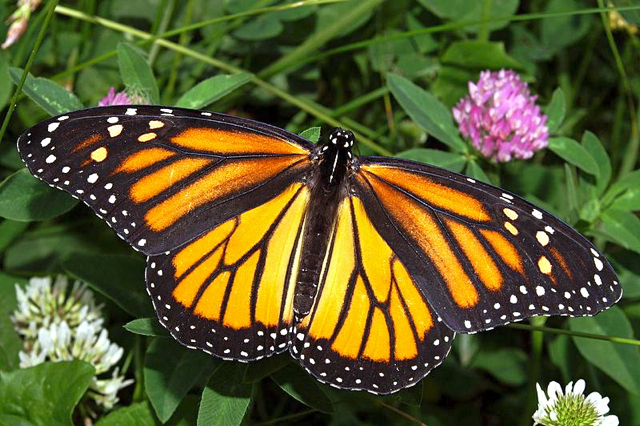 If only the monarchs did have a place here in the U.S. to migrate instead of flying all the way further south. I relished every page too, although I must admit to grieving more for Dellarobia'a position in life than the Monarchs. I've only read one novel by Kingsolver but I loved it. There are still moments from that novel I remember with a clarity as if I had lived them. 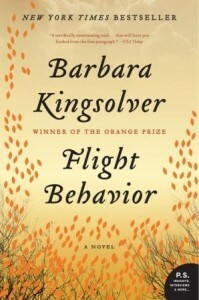 I'm a fan of Barbara Kingsolver's and this book is on my wishlist. It sounds fantastic. I agree, her writing style is wonderful. Sounds good. I haven't read this author but I've heard alot about her. Susan, the Monarch caterpillar's are extremely cute! I have never seen another caterpillar this "cartoon" cute. We have loved having our Monarch farm this year and now we are putting in a water source as they are starting to come back around for the flowers. I'll definitely keep you posted. 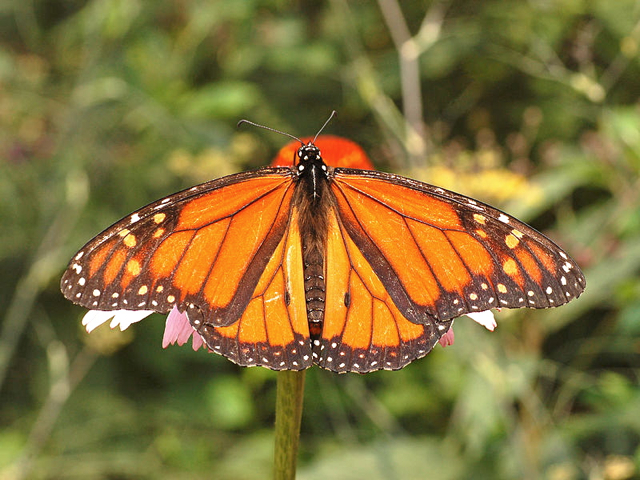 Many of us have enjoyed your monarch posts. The caterpillars are adorable and quite distinct. I just ordered some tropical milkweed seeds from Butterfly Encounters, and will also check for plants at local nurseries. Thanks for stopping by! Great review!! One of my favorite novels of all time if Barbara Kingsolver's The Poisonwood Bible. I have this newest book on my "to read" list, but haven't gotten to it for whatever reason. I have loved her earlier work, she's a lyrical writer with great messages. I am intrigued that the message of this novel is climate change and the environment - that is right up my ally. I think this book just moved further up on my list! "exquisite" is the perfect word for Kingsolver's writing - I'm looking forward to reading this latest book! I have never read anything by this author if you can believe that! This sounds really, really great! Thank you so much for sharing and thank you for posting my Doctor Who giveaway in your sidebar! I've read some of Kingsolver's nonfiction (Animal, Vegetable, Miracle) but none of her novels yet. Maybe I should break that drought with this novel -- you make it sound really great.